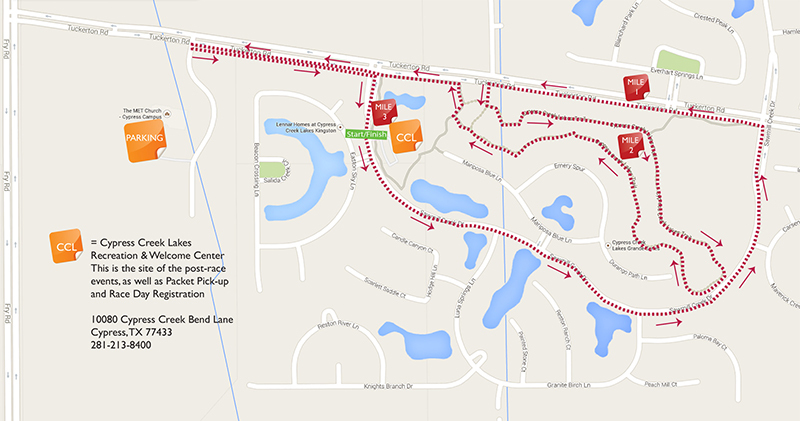 This race will be through the beautiful master-planned community of Cypress Creek Lakes, near the community's Phase 3 Recreation & Welcome Center and several sections of the neighborhood south of Tuckerton Road. The address is 10080 Cypress Creek Bend Lane, Cypress TX 77433. Parking will be at The Met Church at 9690 Fry Rd, Cypress, TX 77433. Shuttle service will be provided to and from the race site from 6:30 am to 11 am. We strongly recommend you pick up your packet on Thursday! Even if you aren’t running or walking, this event has something for everyone. Hosted by CBS Radio, there will be free food, a pumpkin patch, face painting and a bounce house, bungee trampolines and rock climbing wall for the kids. Event emcees MIX 96.5 Morning Team: Lauren, Sarah and Geoff, and Seth Payne with Sports Radio 610 will judge the best costume contest, which has a $100 prize. 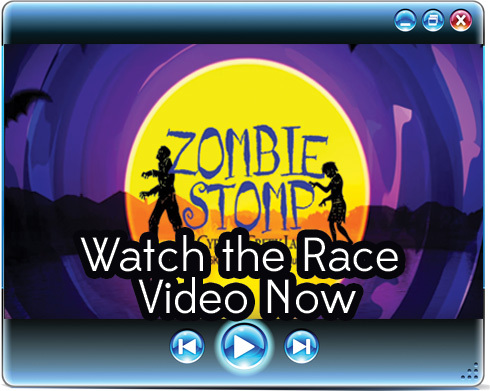 You may even run into a zombie or two! Interested in sponsoring the race? Click here to download our sponsorship form now. Proceeds from this event will benefit Cy-Hope. The mission of Cy-Hope is to make life better for kids in Cy-Fair who are economically, relationally, and spiritually disadvantaged. Our vision is to mobilize the entire community to provide opportunities that will enable all children to grow up to be productive citizens. Our Backpack Feeding Program started when we recognized many of the children in CFISD had no food over the weekends. So in the Fall of 2011 we piloted the program beginning with 2 schools, 2 volunteers and 80 bags of food. Currently we are in 72 of the 85 CFISD schools, with over 100 volunteers and serving nearly 2000 students with about 8 tons of food per week.